WORST BOOK I HAVE LISTEN TO! 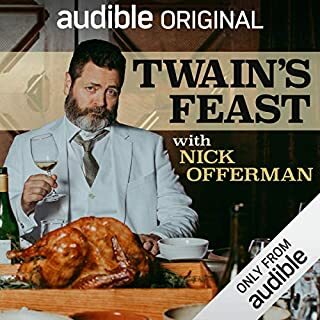 Expected more on Twain but was lectured on how bad mankind is and global warming. Details down to the nitty gritty! 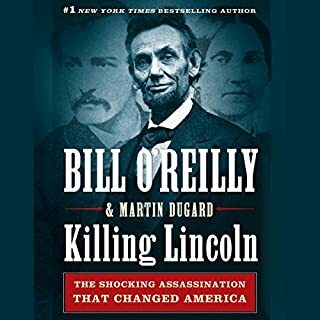 Where does Killing Lincoln rank among all the audiobooks you’ve listened to so far? If you are anything near a historical buff you need to read this book. The authors present a complete picture, in you mind, and you feel like you are behind the news cameras as it happens. This books deal with the facts. Pure and simple. The authors takes these facts and presents them in a plain and simple style that captures the reader's interest. Best laugh I have had in a long time! Witty! Ending is a little flat but other than that...FUNNY! Excellent performance from all the actors. The auther paints a vivid picture of the story line. I had my doubts, but hey! It was free! And I LOVED IT! Way better than I though it would be! Profile of the iron-willed and stone-faced general who led American troops to victory in World War I. After his days as a frontier Indian fighter chasing Geronimo, Pershing took America's 128,000-man regular army and built it into a four-million-man juggernaut. 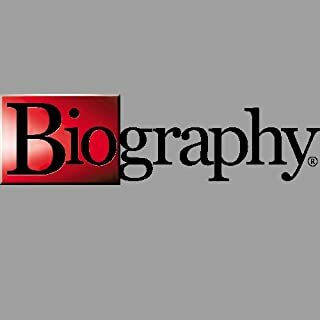 Biography tells the story of Pershing's enormous triumphs and bitter tragedies, including the fire that killed his beloved wife and three daughters. As always Biography has done great job. With the short time allowed you can get a fair idea of what kind of man Pershing was. And, if you have a mind to, it serves as a stepping stone for a more in-depth book. The saga of the incredible journey of Meriwether Lewis and William Clark. On their two-year (1804-1806), 8,000-mile trip, Lewis and Clark drew maps of the wilderness, made contact with Native Americans, studied plants, animals, and minerals, and charted a route to America's West. Do you love history? Or are you wanting to know a little more about that Indian Lady on our one dollar coin? If you fall in the latter then you might enjoy this. If you love history this may be a bit brief. 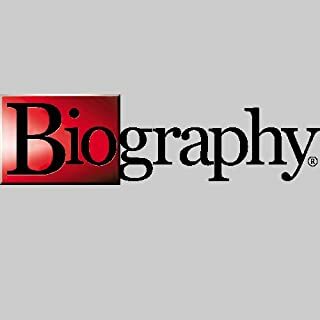 But, it is Biography and is always well done. Well worth the price! Juan Ponce de Leon sought the Fountain of Youth and discovered Florida. This profile of the "First Conquistador" chronicles how he brutalized native populations in his quest for riches. After listening to several full length books this seems short..but the price is great. 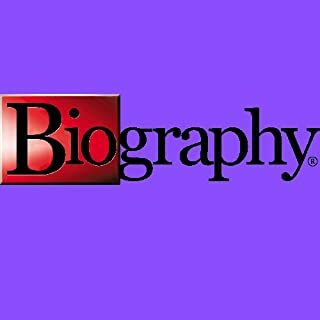 It's the audio version of Biography so it's simple really...if you enjoy the TV version you should like this! When gold was discovered at Sutter's Mill on the American River, it completely transformed the territory of California. Hundreds of thousands of people sped to California by any means possible, and small cities sprung up to service their needs as they sought the precious metal. By 1850, California had become a state; it had also become a symbol of where the nation was going. 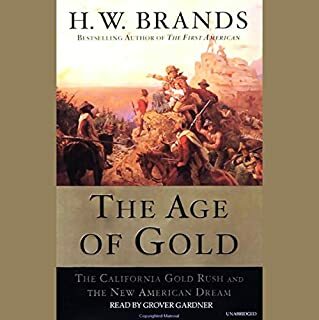 This is the most complete book I have ever read about the California Gold Rush! The book follows prospectors to California from all over the globe. How they fared and what happened after the Gold Rush of 49. Besides the rush for gold The Age of Gold also does a good job with the histories of John C. Fremont. Leland Stanford, M. Vallejo, A. Sutter, and many many more. Also mentioned, in this book, is how the gold effected Later Day Saints, The Civil War, Transcon. Railroad, Pony Express, just to mention a few. If you love history you will love this book! With dramatic flair, Jeff Guinn delivers the definitive portrait of Bonnie and Clyde. These media-savvy outlaws appealed to America's Depression-era hunger for swashbuckling characters. Glowing radio and newspaper reports transformed these "public enemies" into celebrities - much like the cinema gangsters of the time. THE Book on Bonne and Clyde! Packed full of information of litte known facts. 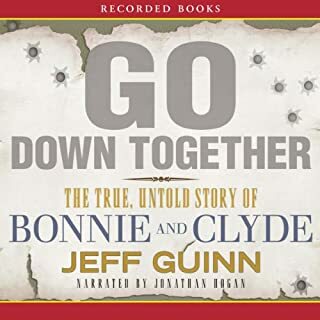 I have been reading about Bonnie and Clyde for fifty years and learned more from this book than any other book I have read.